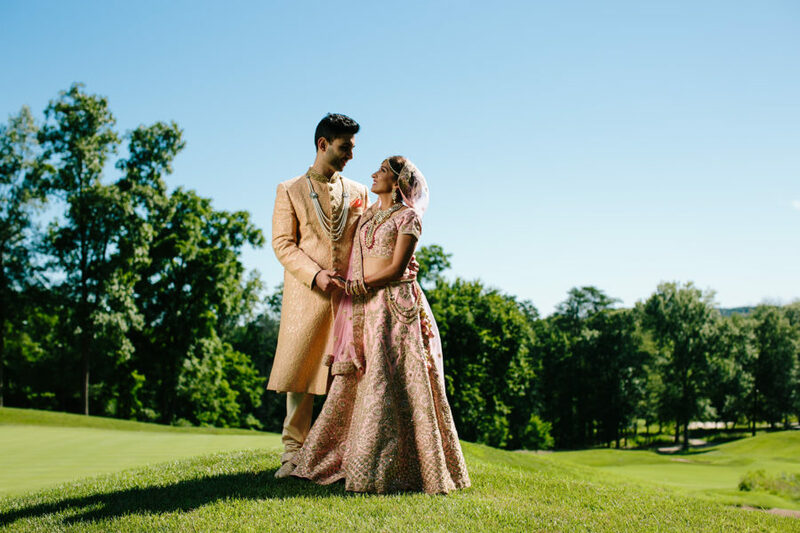 Check out the highlights from the gorgeous wedding of Aditi & Vishal at Lansdowne Resort in Loudoun County, VA.
Lansdowne Resort offers a memorable romantic location set amidst the rolling hills and vistas of the Potomac River Valley, near the DC area. The wedding ceremony took place in a beautiful outdoor mandap set-up by Sarah Khan Event Styling on the Terrace with a breathtaking backdrop of the Potomac River valley, and celebrate in Landsdowne’s elegant ballrooms. The wedding featured a traditional Gujarati Jain lunch with Masala Chaas. Most of the items were prepared Jain for the bride’s family.